But he doesn't. He's been given an enormous amount of responsibility by Mauricio Pochettino and has justified it with some incredible performances, and it's now scary to think what a slow, plodding, sludgy team Tottenham might be without the England international. Winks' ability to run games from midfield is what makes him such an underrated talent in the Premier League, but his biggest performances have arguably come in the Champions League. He broke up play when necessary with four tackles and two interceptions, and made a total of 72 passes, the fourth most during game behind his side's three centre backs, with an accuracy of 93%. Coincidentally, two of the three goals ​Tottenham scored against ​Dortmund came after they recycled and got forward quickly, exploiting BVB's difficulty in tracking runners when out of possession whenever the away side lost the ball, and ultimately that's where the game was won. 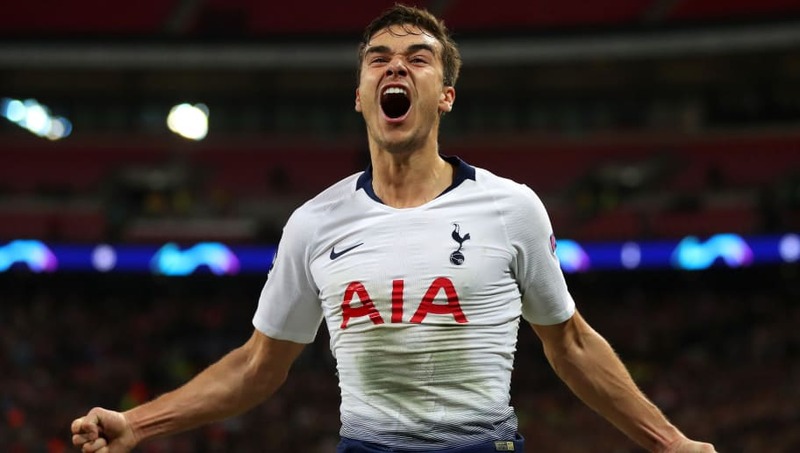 Winks' emergence as a crucial first teamer has come at the ideal time for Spurs following Dembele's departure, with many unsure if there was another player in Tottenham's squad able to give others time and space with their own hunger for and skill on the ball. But the 23-year-old has shown he is ​Dembele's natural successor and, perhaps most importantly, he has the total backing of Pochettino, who knows he has a player who will almost always make the right decision in possession. So while it may have been sad for Spurs fans to see the Belgian GOAT depart in January, they have a player in Winks who is younger, fitter, and passionate about the club, and that's reason enough to be optimistic.